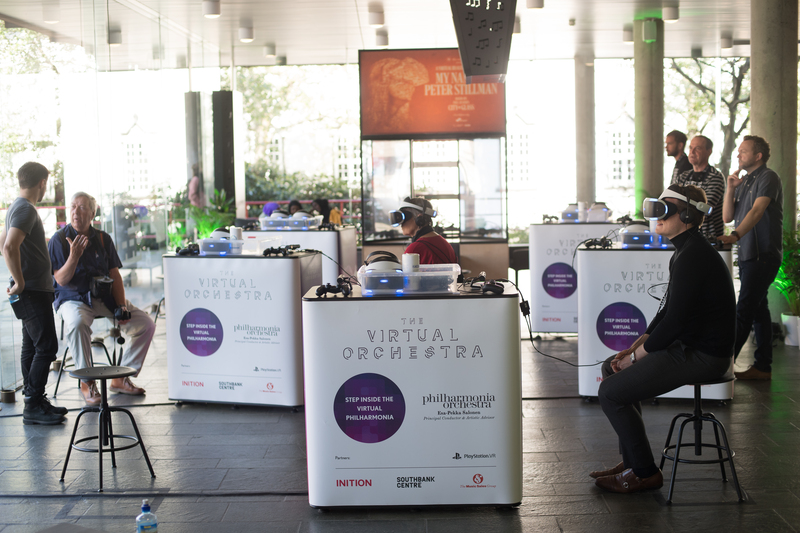 The Philharmonia Orchestra is constantly finding fresh, new ways for audiences to experience the magic of classical music, making bold steps in the world of VR. Having experimented with the tech since 2016, they’ve built up a selection of excellent VR pieces based on their musical performances, including ‘The Virtual Orchestra’, ‘Beethoven’s Fifth’ & ‘Mahler’s Third’. First up, we took a trip to Bergen International Festival to set up & demo ‘The Virtual Orchestra’ (created with Inition & The Southbank Centre). The piece takes users behind-the-scenes at the symphony orchestra, transporting them to London’s Royal Festival Hall to witness a performance of Sibelius’s Fifth Symphony in 360 and recorded with glorious spatial audio. Described by The Guardian as ‘an extraordinary glimpse inside the sights and sounds of a symphony orchestra’, it allows users to feel the audio ‘move’ around them as they move their heads. The demos were a huge success with lots of positive feedback. We even had a visit from Queen Sonja of Norway, who tried out the experience for herself! Following that, we demoed at the Helsinki Art Museum, and are currently making preparations to showcase ‘The VR Sound Stage’ at the Southbank Centre in London (27-30th September). Featuring Beethoven and Mahler, ‘The VR Sound Stage’ is a custom-built sound studio, where up to six guests at a time can immerse themselves in the middle of a virtually re-constructed orchestra.